Browse Artists and Groups Henri L. Masson, LL.D., R.C.A., O.S.A. 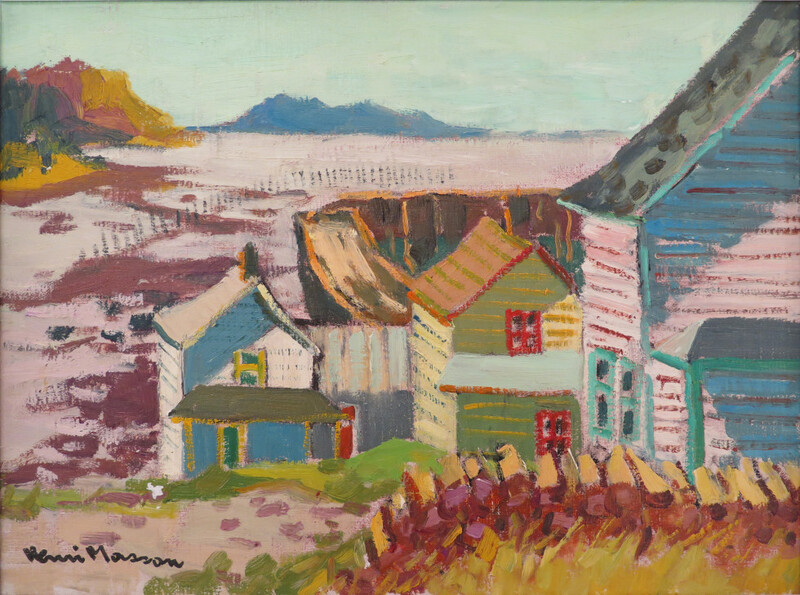 Born in Spy, Belgium in 1907, Henri Masson came to Canada in 1921 and two years later began to study at the Ottawa Art Association. From 1923 to 1945, Masson worked as an engraver and began working as a full time painter in 1945. In 1972, Masson proudly had a painting reproduced by UNICEF. Two years later, Masson's painting Skaters in Hull was reproduced on a Canadian 8 cent postage stamp in an edition of 105 million. In 1975, Masson was the subject of "Portrait," a one hour radio interview on CBC. 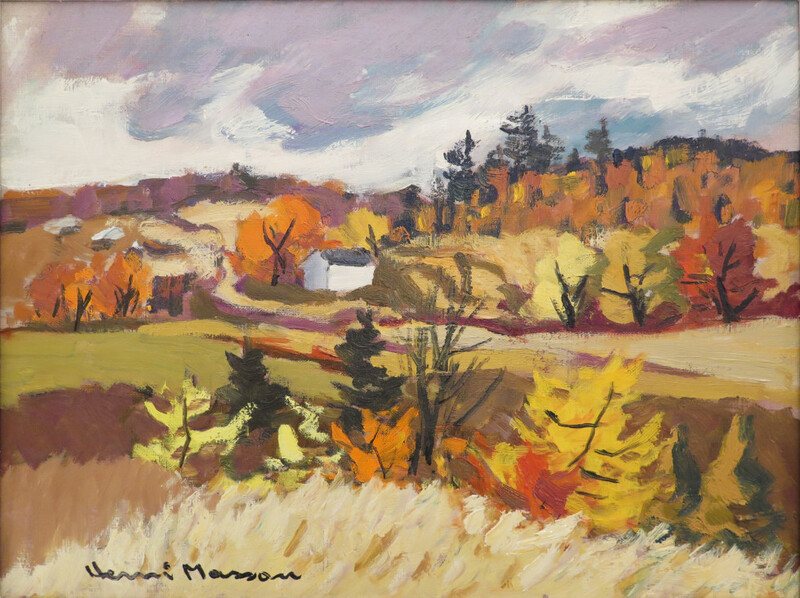 Masson was a member of the Canadian Group of Painters, Canadian Society of Painters in Water Colours, Canadian Society of Graphic Arts and the Ontario Society of Artists. In 1955, Masson received an LL.D. from Assumption College in Windsor, Ontario. 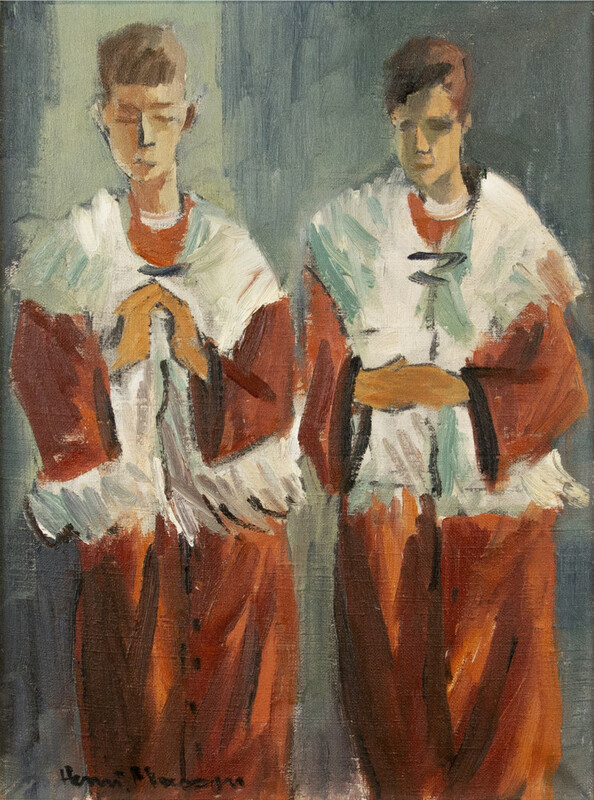 1950 Canadian Painting, National Gallery of Arts, Washington, D.C. Please send me more details about the following artist. Henri L. Masson, LL.D., R.C.A., O.S.A.